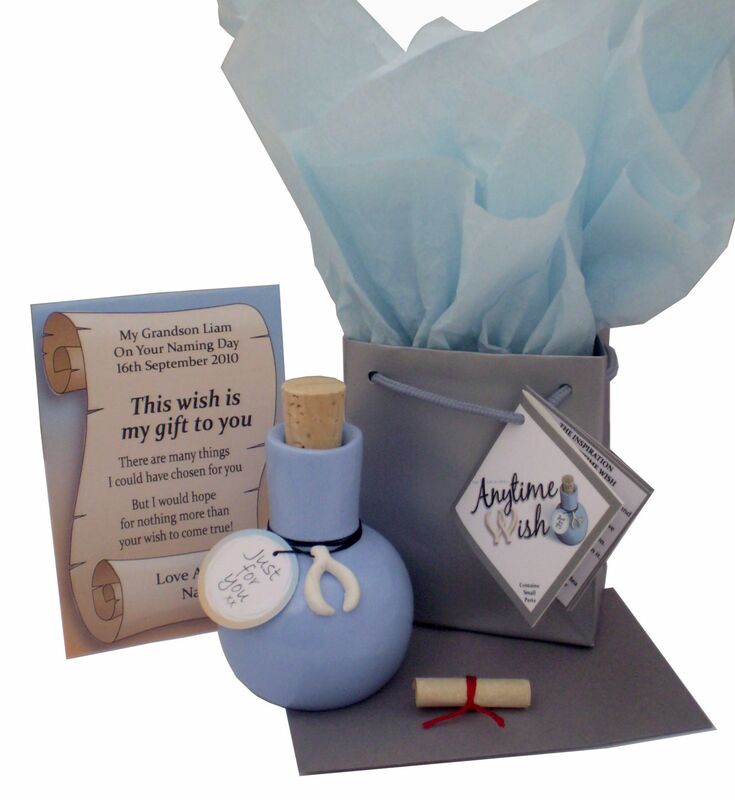 The Anytime Wish can be personalised for any occasion, just let us know the type of occasion & we'll do the rest. Your gift will be fully personalised with the recipient & sender name/s, the occasion along with any required date. We can also send direct to your recipient at no extra charge. Every bottle is beautifully wrapped in matching tissue & presented in its own gift bag. Individually Hand Painted and Varnished, Wish bottles measure approx 8½ cm(including cork). use it wisely as it may just come true! Than Your Wish Come True! Please Note: We will change My/Our Accordingly.